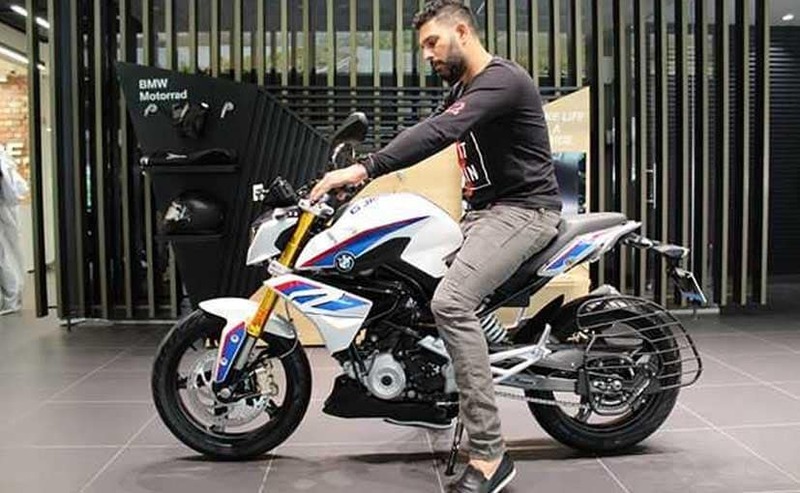 Ace cricketer Yuvraj Singh has added a new German offering to his garage, the BMW G 310 R street-naked motorcycle. 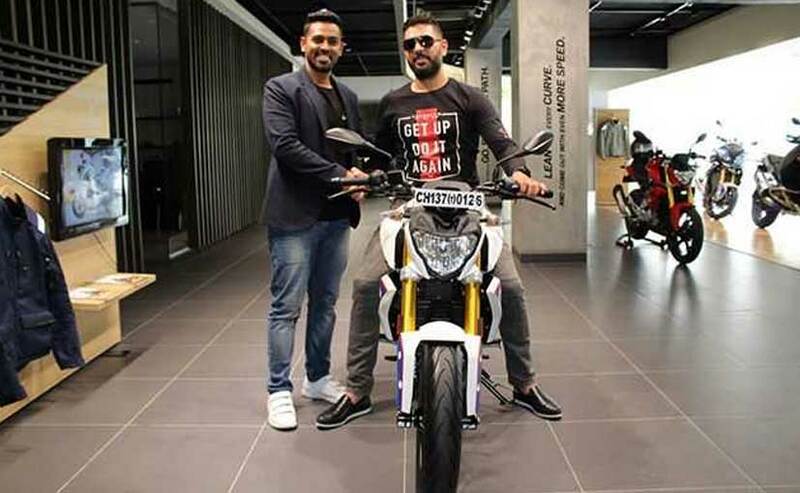 Yuvraj Singh is a huge BMW fan and the cricketer has over the years added a number of offerings from the Bavarian automaker to his garage. In a change of pace though, the all-rounder has added something small, fast and distinctly Bavarian, albeit on two-wheels. This is the recently launched BMW G 310 R we are talking about the Indian cricketer was recently taking delivery of the street fighter at a BMW Motorrad dealership. The G 310 R is the German giant's smallest motorcycle yet and is made-in-India carrying a price tag of ₹ 2.99 lakh (ex-showroom). While Yuvraj has a fascination for motorcycles, the 36-year-old has been seldom seen riding one. The BMW G 310 R is a welcome change in his garage and joins a host of exotics including the BMW X6 M, Audi Q5, BMW 3 Series, Bentley Continental Flying Spur and the likes. He also had a Lamborghini Murcielago in his collection a couple of years ago. The cricketer also owns an E46 BMW M3 Convertible that was recently modified and custom painted. The BMW G 310 R also joins a custom 2015 KTM 390 Duke that was unveiled at India Bike Week that year, specifically for his cancer foundation 'YouWeCan'. The BMW G 310 R has been a long-awaited offering and finally saw its Indian launch earlier this year. The bike has been developed in collaboration with TVS Motor Company, with the engineering and development carried out by BMW. The Indian manufacturer takes care of the production of the motorcycle for the Indian and global markets. The new BMW G 310 R also managed to impress when we rode it last month and justifies its high pricing with impeccable quality all over. Power comes from a 313 cc single-cylinder, liquid-cooled engine tuned to produce 34 bhp at 9500 rpm and 28 Nm of peak torque at 7500 rpm. The motor is paired with a 6-speed transmission. The bike is underpinned by a Trellis frame and is suspended by telescopic forks up front and a monoshock unit at the rear. The bike uses disc brakes at either end with dual-channel ABS as part of the standard kit.